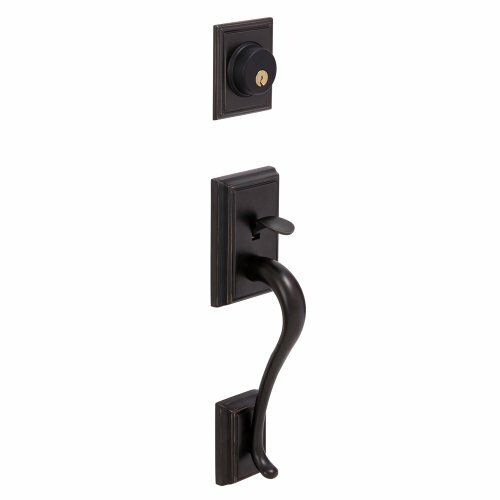 Patented adjustable bottom through-bolt for easy installation. Moves up and down 1 1/2" to fit pre-existing holes. 4" minimum center to center door prep required for this two piece model.